Today I am posting about yet another bird that I have never seen before. 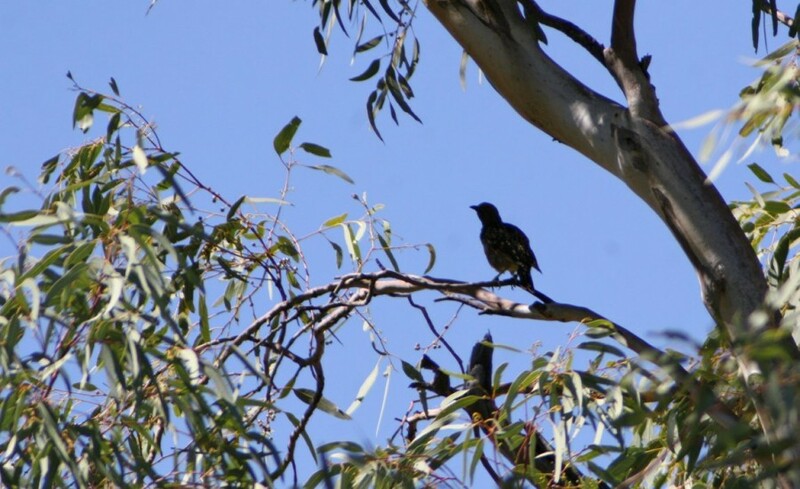 At the time, I photographed the bird wondering what it was, afterwards it was reviealed through a a bir of research to be a Western Bower Bird. I had never seen this type before, but I am familiar with its behaviours. These birds often create elaborate nests to attract a mate. This species creates a nest by splitting a tuft of grass in two. Then it decorates the nest with anything white that it can find. In the central desert region, this usually means pure white quartz stones. Then also puts a selection of things that are distinctly green over the top in a scattered fashion. Usually, this is a selection of native berries and nuts. These nest builders are truly fascinating. 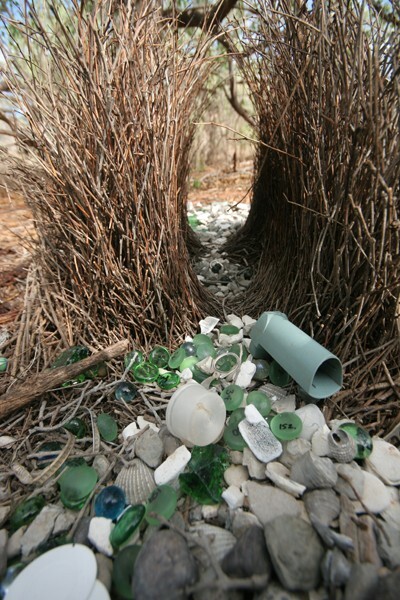 Their treasure troves attract a mate, but in a way are a unique form of art created by the wildlife. This birds cousin the Satin Bowerbird, decorated its nest with anything blue that it can find too. Ranging from bottle caps to pegs from the clothesline. These are a very interesting bird due to this behaviour. As the human world comes ever closer into the wild, interactions like this will continue. In this case, it would seem odd; but also unusually attractive. And besides, these birds are able to distinquish colours, that's absolutely amazing.